Wind Turbines For The Home & Home Solar Panels is Our Specialty. We have wind turbines for the home installed in several dozen states from California to Massachusetts. Our wind turbines for the home come in a complete kit of engineeed components. We don’t just sell a few loose parts and leave you hanging like many others who sell wind energy. We sell the most advanced hybrid home energy system in the US, the Home Wind Farm™. The system features integrated wind and solar hybrid generation, emergency battery backup for the home and more. The pictures below show one of our most recent installations of our Home Wind Farm™ systems. 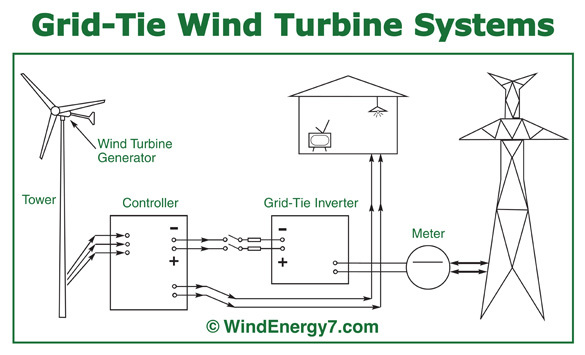 The Home Wind Farm™ system is an exclusive innovation of WindEnergy7 LLC, an Ohio based manufacturer of home wind turbines and solar electric products. To see more videos of our home wind turbines, go to — WindEnergy7.Com — and you can find info about becoming an owner, installer, or dealer of our rooftop wind turbine systems. There are still areas open for new dealers to become the local source for wind/solar systems. So, if you are interested in becoming a home wind turbine dealer fill out the Contact Form at — WindEnergy7.com — and we can see if your area may still be open for you to become the home wind turbine dealer for your surrounding county territory. Contact us by filling out a contact form and we will refer you to someone who can help provide you with information on buying a system or becoming a dealer. The Delaware Mountain Wind Farm in Culberson County Texas is been in operation since going live in 1999. This site has wind turbines producing 30 MW of green renewable energy. 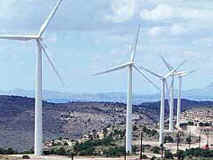 American National Wind Power is a subsidiary of National Wind Power. This wind farm is National Wind Power’s (NWP) first project in Texas and is located in Culberson County, northeast of the town of Van Horn in West Texas. The ranch on which it is built is used for raising cattle and deer and is also the site of the West Texas Wind Farm Power Project, described below. Given the right legislative environment, NWP plan to develop it to a full potential of 250MW. The power produced by the Delaware Mountain Wind Farm is purchased by the Lower Colorado River Authority (Austin, Texas) and Reliant Energy HL&P (Houston, Texas) for distribution to their customers. Located in the Delaware Mountains of West Texas, close to the Guadalupe Mountains National park, this successful wind farm is only a few miles from the highest peak in the Lone Star State. The farm is owned by the General Land Office & Lower Colorado River Authority. It is a 35 MW producing successful venture located in Culberson County, Texas. This farm has been cranking out power since go-live in 1995. The Lower Colorado River Authority (LCRA) teamed with the General Land Office GLO) and private industry to develop this commercial wind power plant, the first in Texas. The Texas Wind Power Project, located in Culberson County in West Texas, has 112 Kenetech 33M-VS wind turbines capable of generating 35 megawatts of electricity — enough to power 12,000 to 15,000 homes. Since the ribbon-cutting for the Texas Wind Power Project in 1995, the Texas’ Permanent School Fund earned more than $750.000 from it. The project is expected to earn more than $3 million for the PSF and create $300 million in increased economic activity over the 25-year lease period. Well, I might as well let people know. This Texas’ Permanent School Fund sounds great, but fact is, the CCISD, Culberson County Independant School District is very poor and having a hard time. I can’t see what benefit that this wind farm has brought the local community of Van Horn, the county seat. Aside from a guy or two that now have jobs watching the wind farm and maintaining, the schhol district is still very poor and not benefiting from the wind farm in any visible way. The power in fact is transmitted all the way to Austin on some of the county’s wind farms. These systems are ONLY AVAILABLE FROM WindEnergy7-Com, We manufacture our patented inventions, the home wind turbine kit for people to easily install and deploy a home wind turbine. Our home wind turbines are manufactured for business, farm, and residential. Our home wind turbine is a precision machined and perfectly balanced home wind turbine. 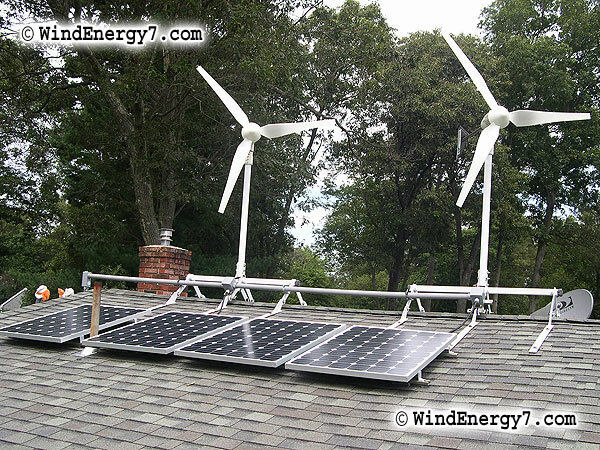 The rooftop home wind turbine kits we manufacture have hybrid wind/solar technology. 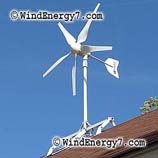 We invented the only rooftop home wind turbine that’s safe and quiet for your home, certified in every state to 130mph. 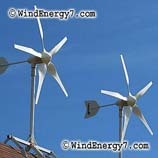 WindEnergy7 LLC, Ohio based wind turbine manufacturers of home wind turbine kits that are sold online. Many customers have found it easy to become customer/dealers with our home wind turbine training. Our home wind turbine systems all qualify for the IRS 30% small wind tax credit which pays for 30% of your home wind turbine and installation costs. These systems are only available from the wind turbine manufacturers, WindEnergy7-Com or one of their local dealers. For more information, or to become a customer, dealer, or installer, go to the site at WindEnergy7.com and fill out their Contact form to find out about becoming a customer, installer, or Dealer for the wind turbine manufacturer. 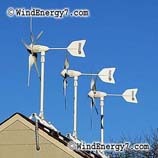 We get so many calls at WindEnergy7 from folks who want to install a wind system. One of the top things that customers say is, “I want to save on utility bills and and maybe make some money” So, at WindEnergy7 we try to make this happen for our customers. There are several factors to consider and calculate to see what your wind project can do, financially. Local Utility and State Net Metering policy is one factor that you have to find out about and understand. Grid-Tie or On-Grid – A term used for energy systems that are connected to the normal utility system of a home or business. With a grid-tie system your system becomes an extension of your existing utility supply. Thus if it is not running, a windmill on a still day, or a solar panel at night, you still have electricity flowing through your meter from the electrical utility, same as normal, meter running forward. In case of any downtime or maintenance of your systems you will not be without power. In reverse, a Grid-Tied or On-Grid system will be generating more electrical power than you use, example a windy night with all lights and household appliances are off, your meter actually running backward as you generate clean electricity to the grid that will be used by neighbors and others on the grid. Net Metering – is the electricity policy for consumers who own wind or solar power generation systems. Net metering is the rules of your state and utility company combined. These rules vary by state AND utility provider, some better than others, thus it has much to do with the ROI (return on investment) of your system. The ideal has your existing electricity meter spinning backwards, effectively banking excess electricity production for future credit. The rules dictate if and how long you can keep your banked credits, how much the credits are worth (retail/wholesale), etc. Net Metering is generally a consumer-based renewable energy incentive. While it is important to have Net Metering available for any consumer that interconnects their renewable generator to the grid, this form of renewable incentive places the burdens of pioneering renewable energy primarily upon fragmented consumers. Net Metering Law – In the U.S.A., as part of the Energy Policy Act of 2005, under Sec. 1251, all public electric utilities are now required to make available upon request net metering to their customers. ‘‘(11) NET METERING.—Each electric utility shall make available upon request net metering service to any electric consumer that the electric utility serves. For purposes of this paragraph, the term ‘net metering service’ means service to an electric consumer under which electric energy generated by that electric consumer from an eligible on-site generating facility and delivered to the local distribution facilities may be used to offset electric energy provided by the electric utility to the electric consumer during the applicable billing period. (2) Look at their bill for cost per kwH (kilowatt hour), compare to net metering information. Need to know your cost per kwH to calculate savings & ROI (return on investment). (3) Look at their local wind map, need 11mph or better average to be successful, zone 2 or higher on DOE Wind Maps by State. (4) Look at your site, do you have room for a turbine, usually an acre or more is best. Recently there have been urban residential installs. So, it’s possible to put one in a suburban or urban neighborhood but takes more negotiating with zoning, code enforcement and others. Most small wind turbines are put into farm-ranch lots of an acre or more. Now, I have many customers and projects and get customers who call and just want this done easy. Many want more consultation and have questions. No problem at all, we try to provide very complete kits, information, and the service you require. We can help you prove, plan, and execute your personal wind project or develop your wind energy plans. 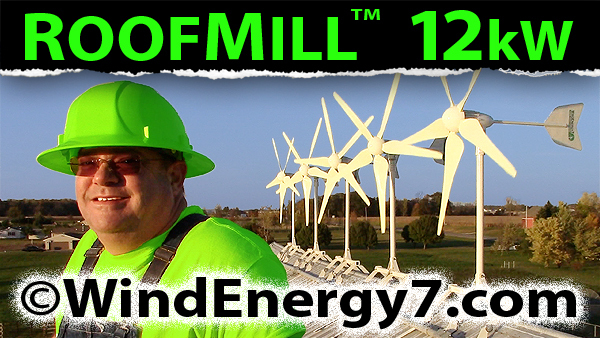 If you are interested in starting a wind project for your residence or acreage, contact us. To Buy a Wind Turbine or Become a Dealer, Please fill out our Contact Form. The system will automatically send you some additional info. Friday, the Denmark-based Wind turbine manufacturer Vestas Wind Systems said Friday it will build two more manufacturing plants in Colorado and bring a total of 1,350 more jobs to the state. The factories, both planned 15 miles northeast of Denver in Brighton, would be the company’s third and fourth facilities in the state and would eventually bring its Colorado work force to 2,350. One of the Brighton plants will manufacture wind turbine blades and have 650 employees. The other will manufacture nacelles, the turbine housings that include the generator, transformer and gearbox. It will have 700 employees. Vestas already has a blade-making plant in Windsor, 50 miles north of Denver,which currently has 200 workers and is expected to have 650 at full employment. 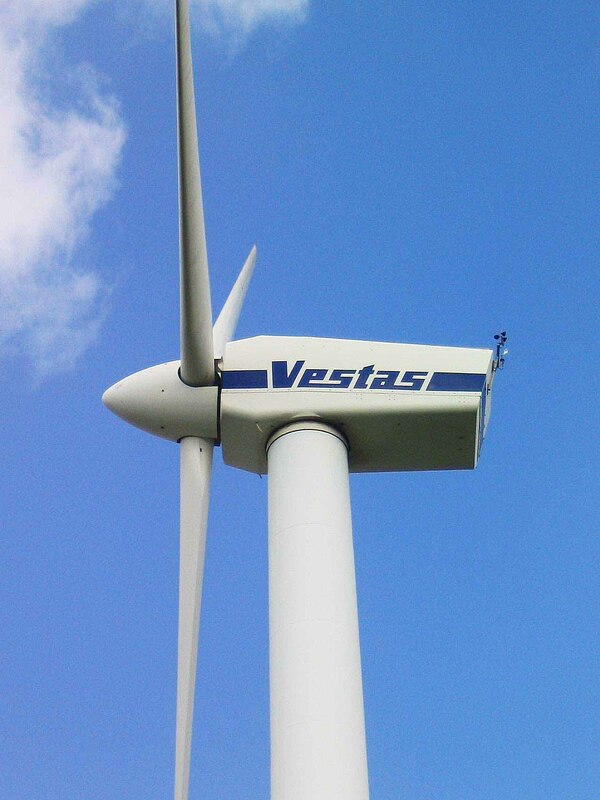 Vestas announced in May it plans to build a factory somewhere in Colorado that will manufacture the towers that support the nacelles and blades. Vestas has not said where in the state the plant will be but said it will have 400 workers. “This is a tremendous boon for all of Colorado, not just Brighton,” said Gov. Bill Ritter, who has cultivated alternative energy companies as employers. “By bringing more than 1,350 additional jobs here, Vestas is cementing its standing as one of Colorado’s pioneering partners in the New Energy Economy,” he said. Vestas said it chose Brighton because of a large and qualified work force in the area, the town’s access to railroads and highways and its proximity to the Windsor plant, about 35 miles north. Vestas said it will also open a purchasing office in Chicago to be closer to suppliers. It did not say how may people would work there. The Brighton plants and the tower-building plant are all expected to be operating in 2010. Vestas said the nacelle factory will be its largest, capable of producing 1,400 nacelles a year. The Brighton and Windsor plants will each be capable of producing 1,800 blades per year. The tower plant is expected to produce 900 towers a year. School wind projects and community wind projects are considered medium sized requirements. So, costs are important and quick return on investment more important. For most of these wind projects that I am working on I am quoting and recommending remanufactured & refurbished turbines for wind farms. The question of remanufactured turbines comes up in most every new wind power project. Using the reconditioned wind turbines, or remanufactured wind turbines, the cost to fund a project and get installation are much lower and therefore makes more sense. Frankly, it can be the difference in making a project make sense or not. (1) What’s difference n Remanufactured and Reconditioned Turbine? (1) What is Projected Life of the Turbines being quoted/installed. (2) Efficiency, we only work with best models, successful turbines. Reconditioned Turbine – a wind turbine where the condition of each of the main components are evaluated, then repaired or upgraded as needed. The turbines from WindEnergy7.com have been carefully de-installed in good working condition to make room for larger wind turbines. This creates a nice cost effective inventory of wind turbines for smaller school and community wind projects. These turbines can be reinstalled with minimal upgrade, depending on their condition and how long it’s been since they were de-installed. Our reconditioned turbines are available for reinstall and are already reconditioned when we sell them for a community wind project. Remanufactured Turbines – The main moving components of these turbines have been re-manufactured to new or better than new standards, very thorough. The controls, gearbox, hub, generator, hydraulic system are all thoroughly remanufactured and restored. The most experienced turbine mechanics evaluate the condition of the remanufactured turbine. These turbines get delivered with a full technical reporting of the remanufacturing processes and as a result, they come with warranty periods. Used Turbines – Sometimes referred to as raw turbines. This is a turbine sold in “as is” condition. I never recommend or get involved with the sale of a used, as-is turbine because of the risk involved. And I carefully advise anyone, before you buy any remanufactured or reconditioned wind turbines, please allow me and my suppliers to show you what we can do, competitively before you buy reconditioned or remanufactured trbines anywhere. Cost of remanufactured and reconditioned turbines can vary. Again, please allow WindEnergy7.com to help you out here. We really prefer to quote these as fully Installed cost. This is better so we can be sure you are happy in the end. The installed cost includes the foundation, tower, turbine, electrical interface, wiring, engineering, program management and all components necessary to make the turbine a functioning/generating unit. We will be glad to work with whatever team you have in place, but if you haven’t aligned all these services, let us help. Remanufactured turbine cost for 40kW to 600kW class turbine, usually in range of $1,000 per kW. Cost of New turbines in this size/class, 40kW to 600kW, usually in the range of $1,700 per kW. Compare to Utility sized new turbines, sizes from 1,500 kW to 3,500 kW = around $3,800 kW. At a dramatically lower cost than the new turbine, the ROI (return on investment) of our remanufactured/reconditioned wind turbines is SO MUCH FASTER . So, your project is simply more successful as a financial endeavor, repaying loan costs at a quicker pace. With ability to provide same warranty and have the remanufacturing or refurbishing done by the best mechanics and most experienced people i this industry, your ongoing operation and maintenance costs will be similar. Although Siemens has recently laid off thousands of workers, that’s not an indication that wind power is not good and viable. 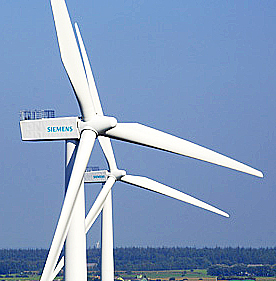 Siemens is the largest producer of wind turbine gear drives in the United States, employing approximately 7,000 people at 40 locations throughout Illinois. Siemens’ currently runs an Elgin Illinois plant employing 150 people. Siemens Energy & Automation has announced that it will develop a second plant in Elgin, Illinois for the manufacturing of mechanical drives for the wind turbine industry. Siemens invested $20 million in this plant creating approximately 300 new production jobs and 55 new office jobs. A groundbreaking ceremony was held in June, 2008 and the plant is planned to be completed in the spring of 2009. Our congratulations to Siemens on their project and thank you for investing in US manufacturing! Iowa, Eldora-New Providence School wind turbine in 2002! 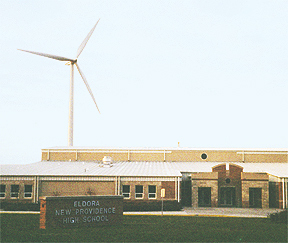 In Iowa, the Eldora-New Providence Schoolput in their 750kW NEG Micon wind turbine. The superintendent, Bill Grove reported that he expects the school to save $10,000 to $20,000 in addition to paying it’s loan payments over a 10 year loan period. As soon as the turbine is paid off, the school’s savings could increase tenfold. The turbine is expected to produce approximately 1.5 million kWh per year. Since the school uses a little less than 1 million kWh, it expects the excess power to bring income to use for educational programs. Others expect the project to pay for itself in approximately seven years. Analysis indicates the school can expect to earn a return on its investment of 13%. The electricity from the wind turbine is considered “inflation proof,” so if the cost of electricity rises, thus do the economic benefits from making such a smart decision. The financing these schools receive includes some income from a federal program called the Renewable Energy Production Incentive (REPI). The REPI was designed for incentive, so public entities that are not eligible for the federal wind energy production tax credit can still get help for wind energy. Payments from REPI are uncertain, however, because the fund relies on annual Congressional appropriations. The economics of a wind project is a great price for the electricity the turbine produces. In most of the successful school wind projects, the local utility “net meters” the output. With net metering, in months when the turbine produces more than the school uses, that excess value is banked with the utility to offset bills when the school needs more than the turbine produces. But, only Iowa and Ohio currently allow net metering without a size limitation on the turbine. MidAmerican Utility in Iowa has successfully applied to the Iowa Utilities Board to limit the capacity for net metering in its service territory to 500-kW, and other utilities are following suit. In lieu of net metering for large turbines, higher buy-back rates for non-profit entities could be a solution. Six schools in Iowa have wind turbines in operation near their campuses: Sentral School in Fenton has a 65-kW Windmatic turbine, Nevada High School in Story County has one 250-kW Wind World turbine; Clay Central/Everly Community School District in Royal has a 95-kW turbine; Akron-Westfield installed a 600-kW Vestas turbine in 1999; and Clarion-Goldfield High School in Wright County installed a 50-kW AOC turbine in 2002. If you are interested in starting a wind project for your acreage, school district, or local government, contact us at WindEnergy7.